This conference is sponsored by Children’s National Health System’s Division of Neonatology. The conference will address the educational needs of neonatal, pediatric,, and adult healthcare providers involved in care of the patients in respiratory and/or cardiovascular failure. 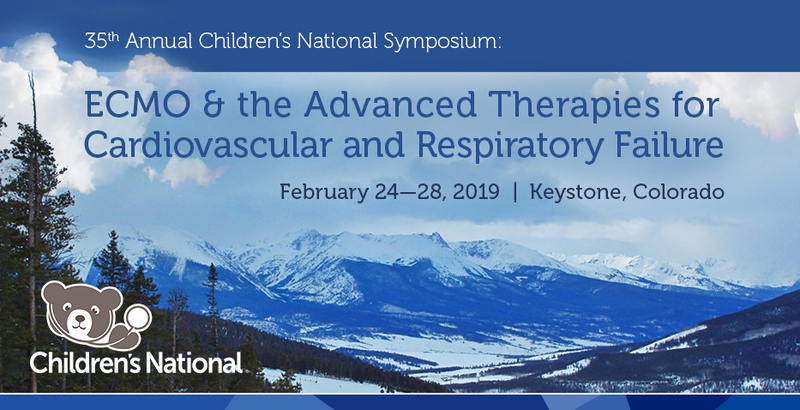 State-of-the-art presentations on the use and latest technologies related to Neonatal, Pediatric, and Adult ECMO, nitric oxide, and state-of-the-art ventilation techniques will be presented. Didactic presentations will be combined with panel discussions and short research presentations to enhance the audiences’ knowledge in the area of the latest treatments for respiratory and/or cardiovascular failure, while enhancing their knowledge in the latest known in the pathophysiology of disease in this population. Outcome data for respiratory failure patients will also be presented. Experts will lead discussion regarding the future of ECLS including potential changes in equipment and staffing models, as well as limitations and complications of new therapies.